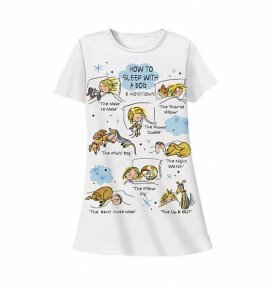 Creative & Comfy Sleep Shirts Make Every Day A Saturday! 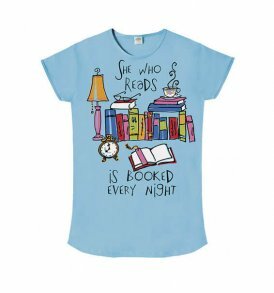 Sleep Shirts for the book lover, reading enthusiast, librarian, teacher and more! 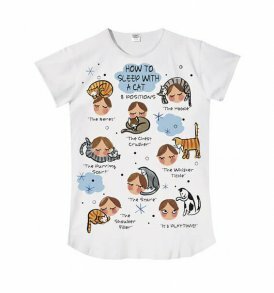 Our designs are hilarious, trendy and colorful – and make great gifts. 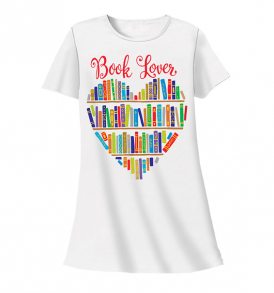 Treat yourself and someone else today with a fun book lover's Sleep Shirt! 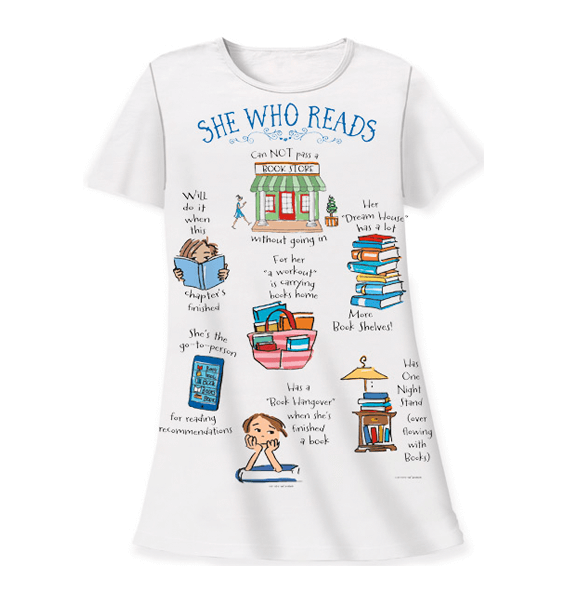 Designs include 'She Who Reads is Booked Every Night', 'Home is Where the Books Are', 'I Wish My Cat Had a Snooze Button', 'How to Sleep with a Dog' Sleep Shirts, and more!